Salt Lake City’s Sustainability Department and the Mayor’s Office launched an online survey this week to solicit resident feedback on how this solid waste collection service can be modified and improved in the coming years. The survey will be open through Friday, September 8, and is available in English and Spanish. 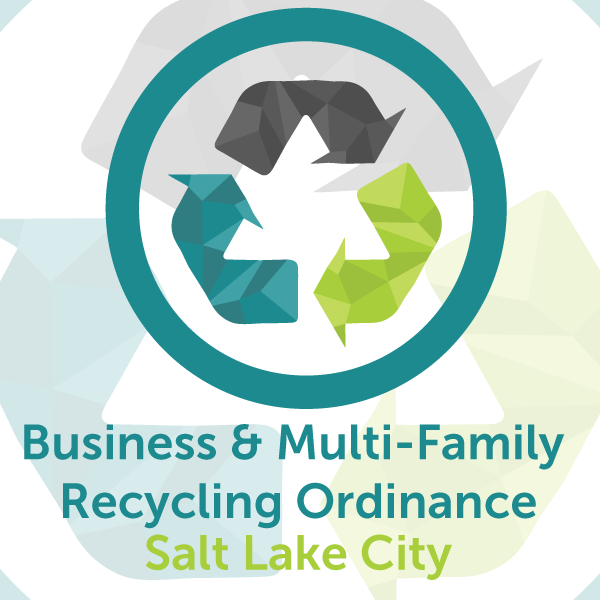 Last night, the Salt Lake City Council passed the Business & Multi-Family Recycling Ordinance! The new ordinance will require large businesses and apartments (multi-family housing complexes) that produce 4+ cubic yards of waste per week to subscribe to recycling services from an authorized waste hauler. The ordinance also stipulates that recycling must be as easy to use as garbage service for tenants and customers. This is an exciting step forward to reduce waste in Salt Lake City. Businesses and multi-family units produce 50% of all waste in the city, but only 10-15% of that waste is currently recycled. When widespread business and multi-family recycling goes into effect, more than 20,000 tons of material will be kept out of the landfill. Once the ordinance is recorded (anticipated January 2016), waste haulers will have six months to become authorized. Businesses and multi-family complexes will have a full two years from the effective date to comply. To learn more about the requirements of the ordinance, visit SLCgreen.com. Today is World Food Day. World Food Day is a day of action against hunger. On October 16, people around the world come together to declare their commitment to eradicate hunger in our lifetime. Because when it comes to hunger, the only acceptable number in the world is zero. Reducing food waste is an important component of climate action at home and worldwide. Free e-waste recycling & pharmaceutical collection event this Saturday! 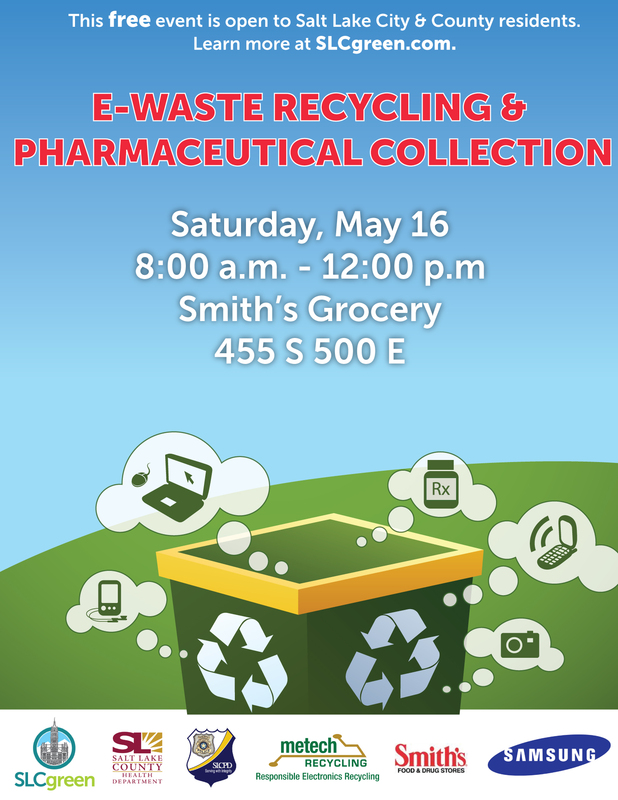 Join Salt Lake City Green for a FREE electronic waste (e-waste) recycling and pharmaceutical collection event this Saturday! Wondering what classifies as e-waste? Basically if it has a plug, we’ll take it! Download a list of acceptable items (PDF). Salt Lake City Police will be on hand to collect and properly dispose of the collected pharmaceutical waste. By bringing your old and unwanted medications, you will ensure they stay out of our groundwater and natural environment. Can’t make it this month? We have events scheduled all summer long!